Hence, to suggest that a generic drug manufacturer in Southeast Asia could produce the world’s first treatment for stroke raises eyebrows. After all, even big pharma companies have failed to achieve this. But that is exactly what might happen if David Ho Sue San, managing director of Hovid, wins a pharmaceutical claim for tocotrienol, a palm-sourced vitamin E compound that has shown positive neuroprotective properties in local clinical trials. Hovid’s headquarters are on the outskirts of Ipoh, the capital of northwestern Perak state. 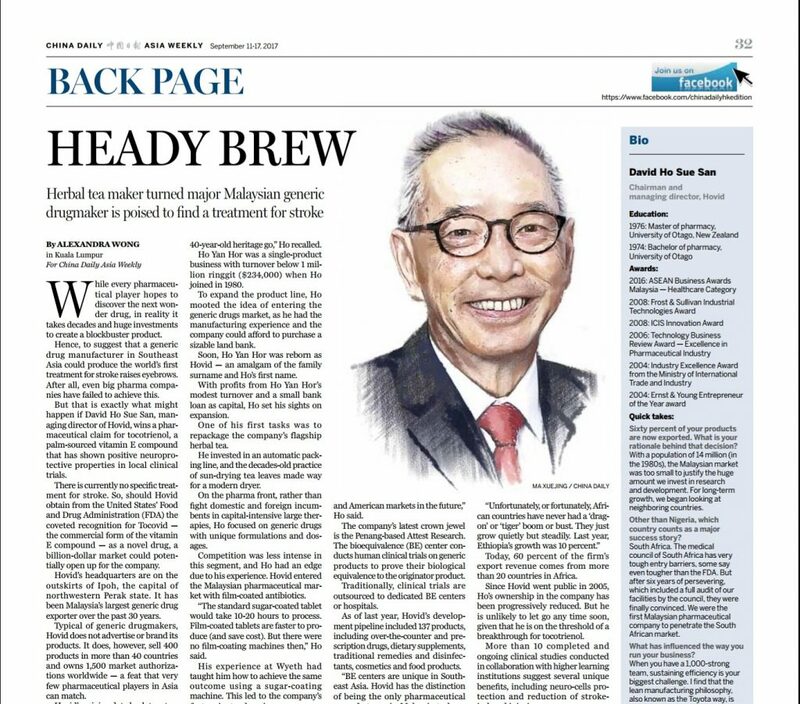 It has been Malaysia’s largest generic drug exporter over the past 30 years, but its roots are more traditional – its origins date back to a traditional herbal tea created by Ho’s father, Ho Kai Cheong, a Chinese sinseh (traditional herbalist). The herbal tea helped tin miners overcome flu in postwar Malaya.